Samsung	There are 5786 products. 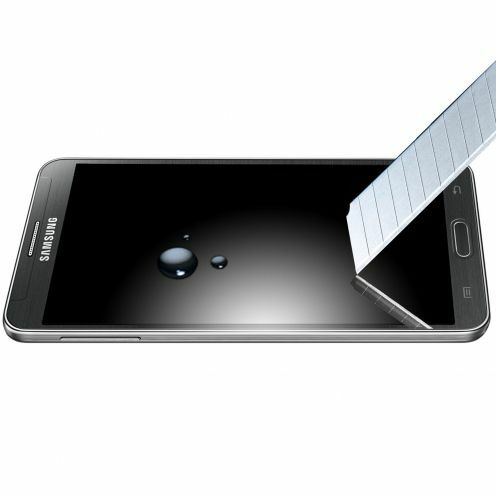 We offer a selection of accessories for your Samsung! Hulls, covers, guards films selected by Clubcase so that you can find what you shoe at your foot, or rather Shell to your hand! Extra-thin Crystal Love Hearts Flowers back cover for Samsung Galaxy A3 2016 (A310)! Hard and light case for Samsung Galaxy A3 2016 (A310) with an original design. 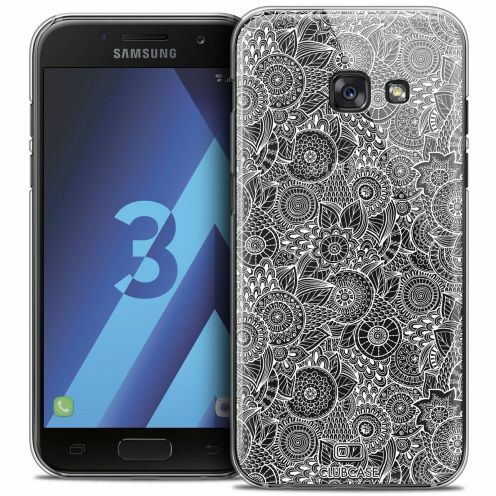 Unique Hearts Flowers design, it is the perfect case to protect your Samsung Galaxy A3 2016 (A310) with style. Black Flip Cover One M8 official Original HTC in PC placing on the rear cover and has a 0.5 mm with an interior nubuck for protecting the screen ! 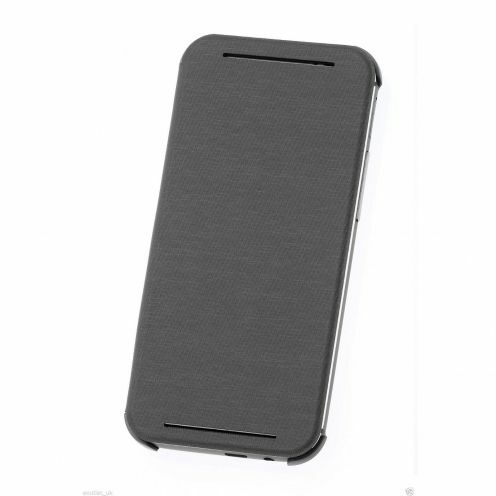 A perfect cover to change the color of your HTC One M8 while protecting it! 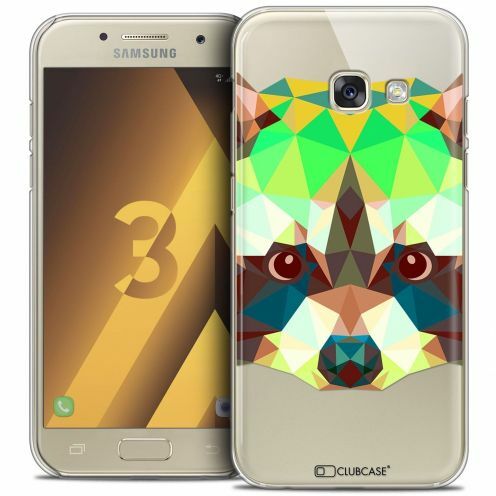 Extra-thin Crystal Polygon Animals Wolf back cover for Samsung Galaxy A3 2017 (A320) ! Hard and light case for Samsung Galaxy A3 2017 (A320) with an original design. Unique Wolf design, it is the perfect case to protect your Samsung Galaxy A3 2017 (A320) with style. 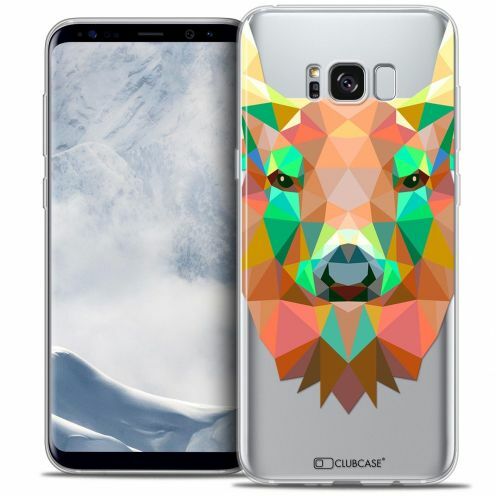 Extra-thin Crystal Gel Polygon Animals Wolf back cover for Samsung Galaxy S8 (G950) ! Hard and light case for Samsung Galaxy S8 (G950) with an original design. 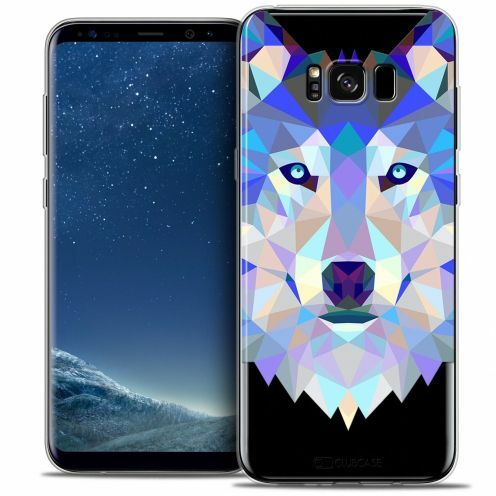 Unique Wolf design, it is the perfect case to protect your Samsung Galaxy S8 (G950) with style. Extra-thin Crystal Love Hearts Flowers back cover for Samsung Galaxy A3 2017 (A320)! Hard and light case for Samsung Galaxy A3 2017 (A320) with an original design. Unique Hearts Flowers design, it is the perfect case to protect your Samsung Galaxy A3 2017 (A320) with style. 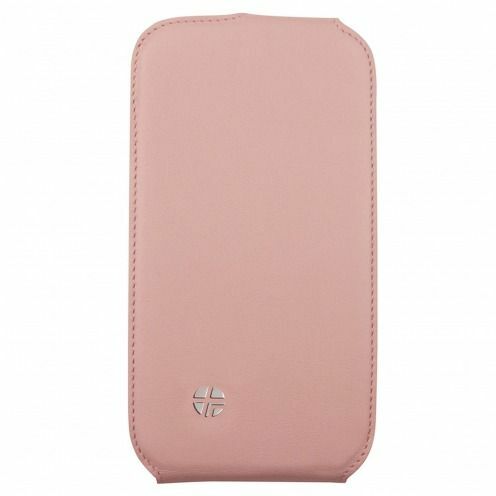 Cover flip genuine leather for Samsung Galaxy S3 Textra ® pink Flippo chic with its leather finish! An Galaxy cover perfect with its magnetic closure of one hand and its resealable internal leather with the tongue cover usable! Extra-thin Crystal Fantasia Licorne In the Sky back cover for Samsung Galaxy A3 2017 (A320)! Hard and light case for Samsung Galaxy A3 2017 (A320) with an original design. 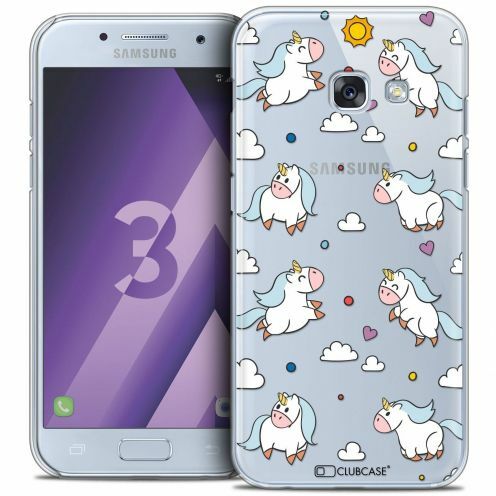 Unique Licorne In the Sky design, it is the perfect case to protect your Samsung Galaxy A3 2017 (A320) with style. 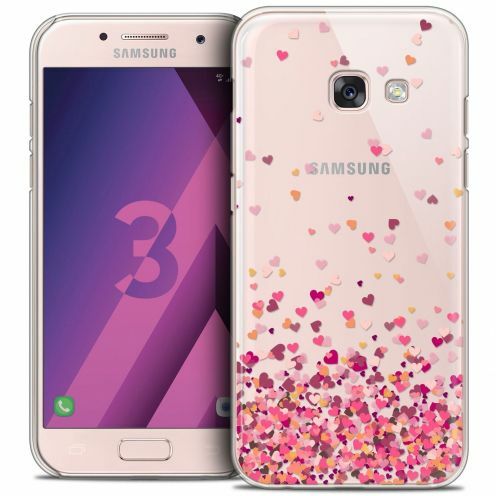 Extra-thin Crystal Sweetie Heart Flakes back cover for Samsung Galaxy A3 2017 (A320)! Hard and light case for Samsung Galaxy A3 2017 (A320) with an original design. 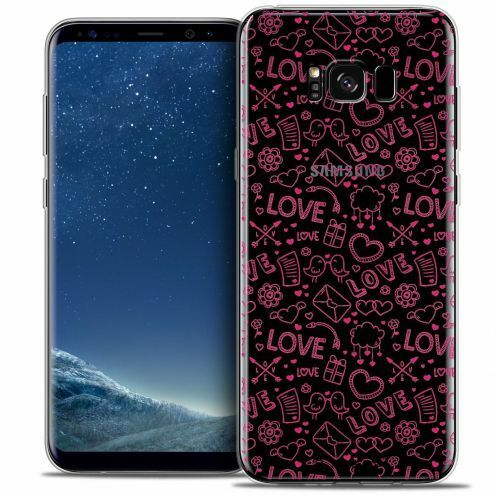 Unique Heart Flakes design, it is the perfect case to protect your Samsung Galaxy A3 2017 (A320) with style. Extra-thin Crystal Pattern Les flamants Roses back cover for Samsung Galaxy A3 2016 (A310)! Hard and light case for Samsung Galaxy A3 2016 (A310) with an original design. 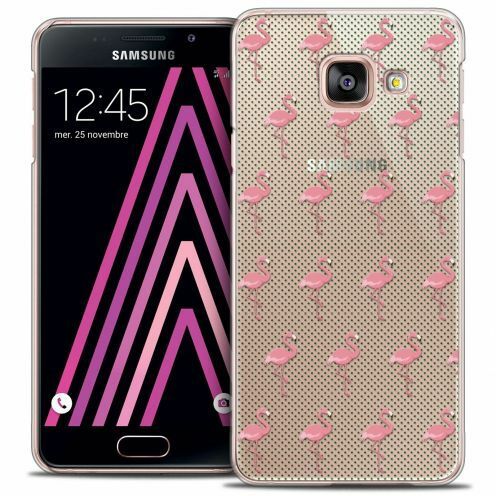 Unique Les flamants Roses design, it is the perfect case to protect your Samsung Galaxy A3 2016 (A310) with style. Extra-thin Crystal Polygon Animals Panda back cover for Samsung Galaxy A3 2017 (A320) ! Hard and light case for Samsung Galaxy A3 2017 (A320) with an original design. 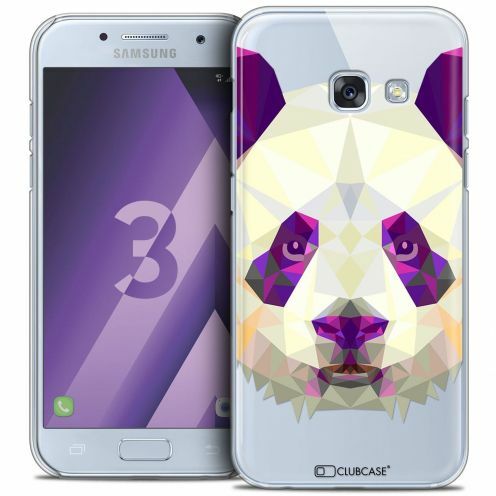 Unique Panda design, it is the perfect case to protect your Samsung Galaxy A3 2017 (A320) with style. 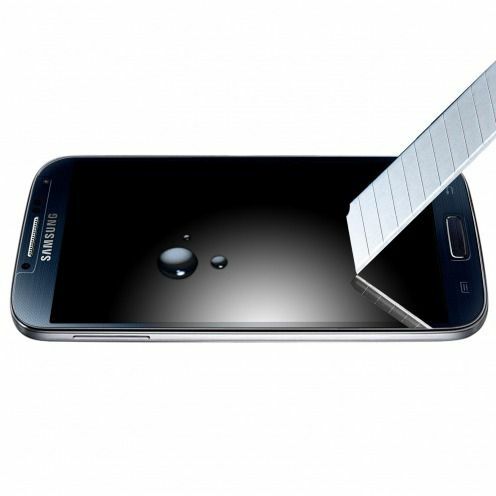 The tempered glass screen protector X-Lambo Premium Samsung Galaxy S4 protection is specially treated to provide superior protection for your Galaxy S4. X-Lambo has a high durability and resistance to scratches, impact, heat and chemicals. Advanced protection for your Galaxy S4! Extra-thin Crystal Gel Foodie Donuts back cover for Samsung Galaxy S8 (G950)! Hard and light case for Samsung Galaxy S8 (G950) with an original design. 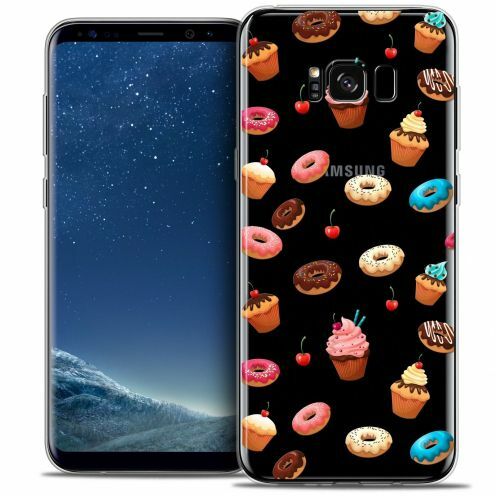 Unique Donuts design, it is the perfect case to protect your Samsung Galaxy S8 (G950) with style. Extra-thin Crystal Watercolor Tropical Flamingo back cover for Samsung Galaxy A3 2017 (A320)! Hard and light case for Samsung Galaxy A3 2017 (A320) with an original design. 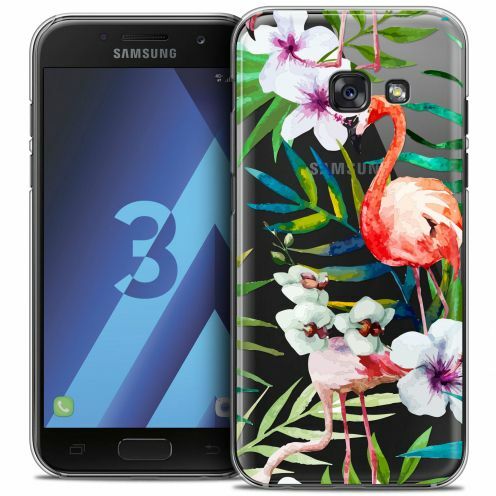 Unique Tropical Flamingo design, it is the perfect case to protect your Samsung Galaxy A3 2017 (A320) with style. 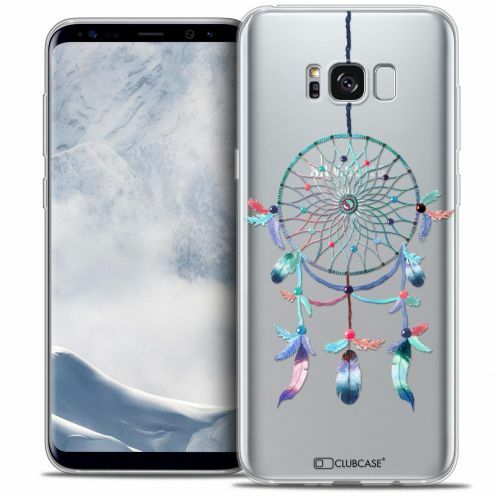 Extra-thin Crystal Gel Dreamy Attrape Rêves Rainbow back cover for Samsung Galaxy S8 (G950)! Hard and light case for Samsung Galaxy S8 (G950) with an original design. Unique Attrape Rêves Rainbow design, it is the perfect case to protect your Samsung Galaxy S8 (G950) with style. 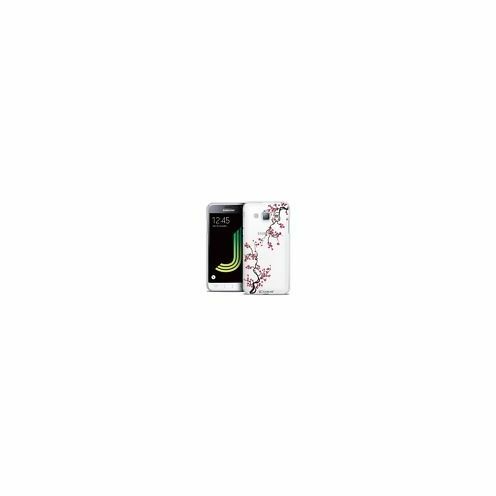 Extra-thin Crystal Dentelle Florale Blanc back cover for Samsung Galaxy A3 2016 (A310)! Hard and light case for Samsung Galaxy A3 2016 (A310) with an original design. Unique Blanc design, it is the perfect case to protect your Samsung Galaxy A3 2016 (A310) with style. Extra-thin Crystal Polygon Animals Fox back cover for Samsung Galaxy A3 2017 (A320) ! Hard and light case for Samsung Galaxy A3 2017 (A320) with an original design. Unique Fox design, it is the perfect case to protect your Samsung Galaxy A3 2017 (A320) with style. 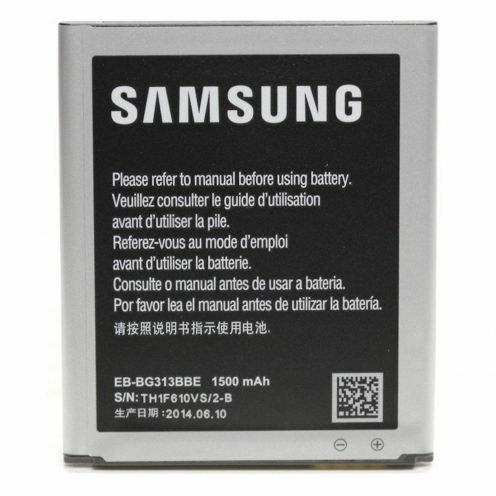 Replacement Battery for Samsung Galaxy S5 Mini Original Samsung. 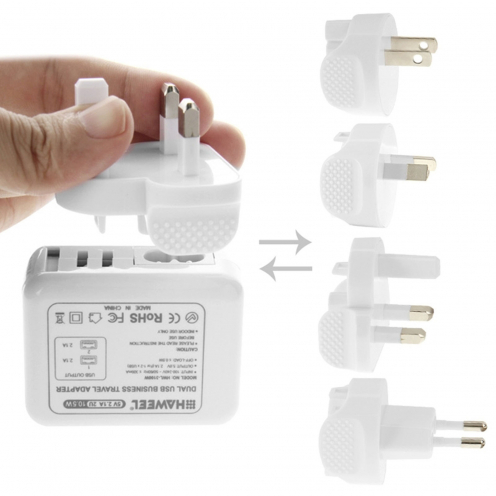 EB-BG800BBE model with a capacity of 2100 mAh and 3.85V. Extra-thin Crystal Polygon Animals Eagle back cover for Samsung Galaxy A3 2017 (A320) ! Hard and light case for Samsung Galaxy A3 2017 (A320) with an original design. 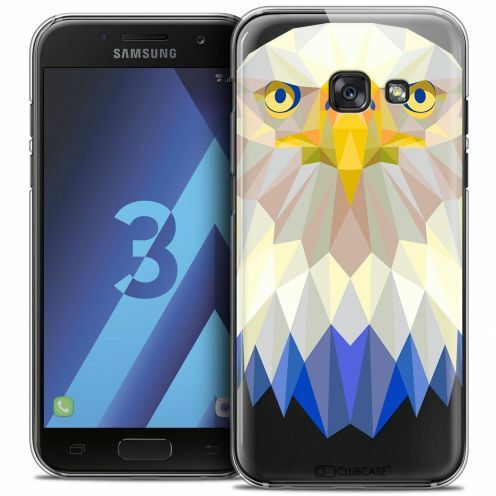 Unique Eagle design, it is the perfect case to protect your Samsung Galaxy A3 2017 (A320) with style. Extra-thin Crystal Polygon Animals Racoon back cover for Samsung Galaxy A3 2017 (A320) ! Hard and light case for Samsung Galaxy A3 2017 (A320) with an original design. Unique Racoon design, it is the perfect case to protect your Samsung Galaxy A3 2017 (A320) with style. White Flip Cover One M8 official Original HTC in PC placing on the rear cover and has a 0.5 mm with an interior nubuck for protecting the screen ! 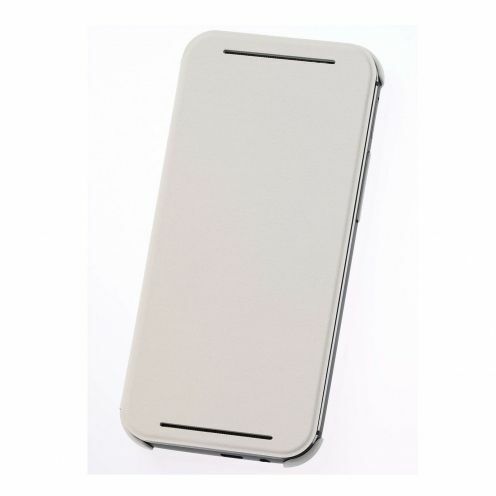 A perfect cover to change the color of your HTC One M8 while protecting it! 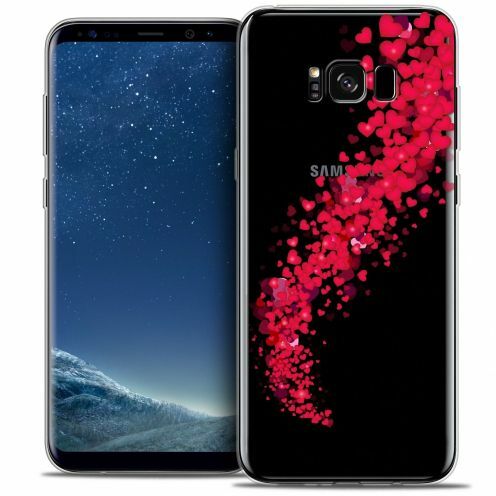 Extra-thin Crystal Gel Summer Sakura back cover for Samsung Galaxy S8 (G950)! Hard and light case for Samsung Galaxy S8 (G950) with an original design. 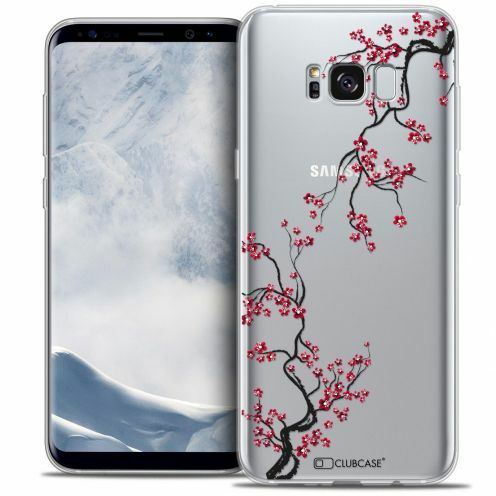 Unique Sakura design, it is the perfect case to protect your Samsung Galaxy S8 (G950) with style. 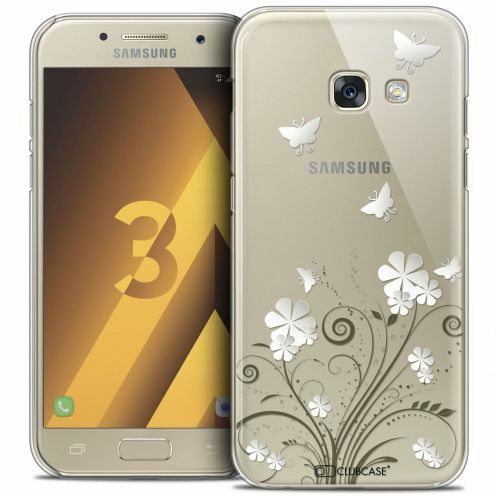 Extra-thin Crystal Dreamy Attrape Rêves Shine back cover for Samsung Galaxy A3 2016 (A310)! Hard and light case for Samsung Galaxy A3 2016 (A310) with an original design. 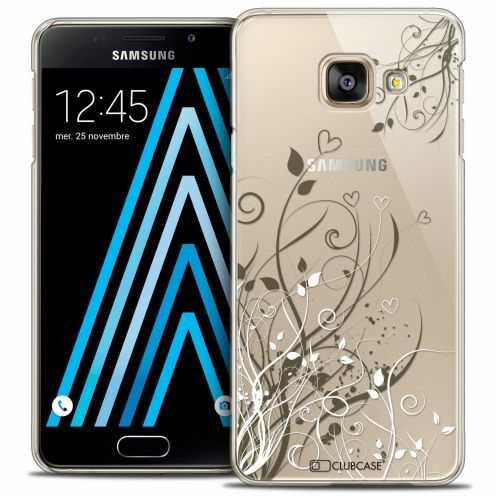 Unique Attrape Rêves Shine design, it is the perfect case to protect your Samsung Galaxy A3 2016 (A310) with style. Extra-thin Crystal Claude Hibous back cover for Samsung Galaxy A3 2017 (A320)! Hard and light case for Samsung Galaxy A3 2017 (A320) with an original design. Unique Hibous design, it is the perfect case to protect your Samsung Galaxy A3 2017 (A320) with style. Extra-thin Crystal Fantasia Licorne Etoilée back cover for Samsung Galaxy A3 2017 (A320)! Hard and light case for Samsung Galaxy A3 2017 (A320) with an original design. 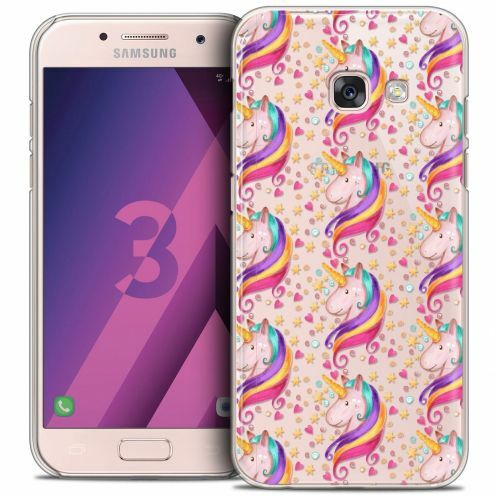 Unique Licorne Etoilée design, it is the perfect case to protect your Samsung Galaxy A3 2017 (A320) with style. 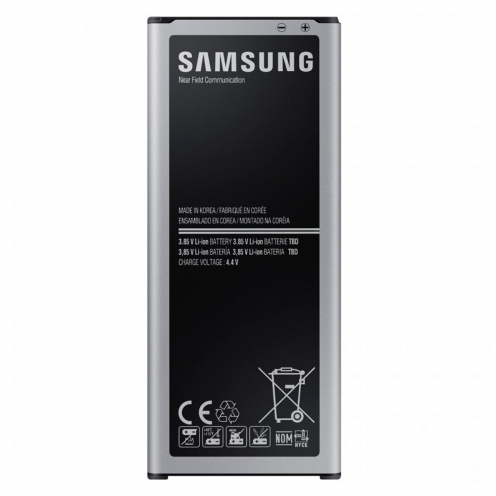 Replacement Battery for Samsung Galaxy Note 3 Neo / Lite Original Samsung. EB-BN750BBC model with a capacity of 3100 mAh and 3.8V. Extra-thin Crystal Spring Bas dentelle back cover for Samsung Galaxy A3 2016 (A310)! Hard and light case for Samsung Galaxy A3 2016 (A310) with an original design. 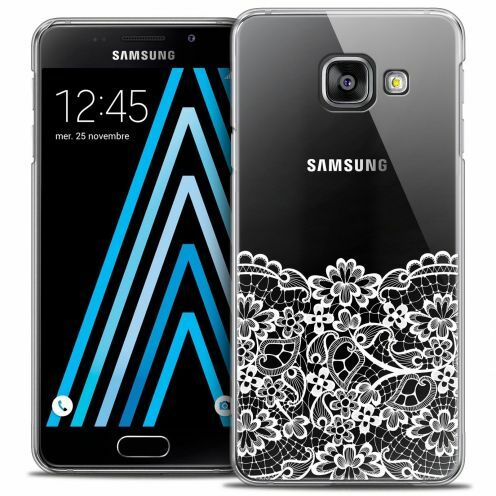 Unique Bas dentelle design, it is the perfect case to protect your Samsung Galaxy A3 2016 (A310) with style. Extra-thin Crystal Summer Papillons back cover for Samsung Galaxy J3 2016 (J320)! Hard and light case for Samsung Galaxy J3 2016 (J320) with an original design. 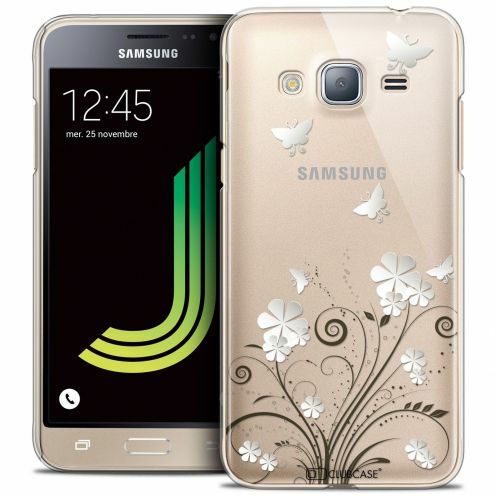 Unique Papillons design, it is the perfect case to protect your Samsung Galaxy J3 2016 (J320) with style. Extra-thin Crystal Pattern Les flamants Roses Dots back cover for Samsung Galaxy A3 2017 (A320)! Hard and light case for Samsung Galaxy A3 2017 (A320) with an original design. Unique Les flamants Roses Dots design, it is the perfect case to protect your Samsung Galaxy A3 2017 (A320) with style. Extra-thin Crystal Sweetie Doodling Hearts back cover for Samsung Galaxy A3 2017 (A320)! Hard and light case for Samsung Galaxy A3 2017 (A320) with an original design. 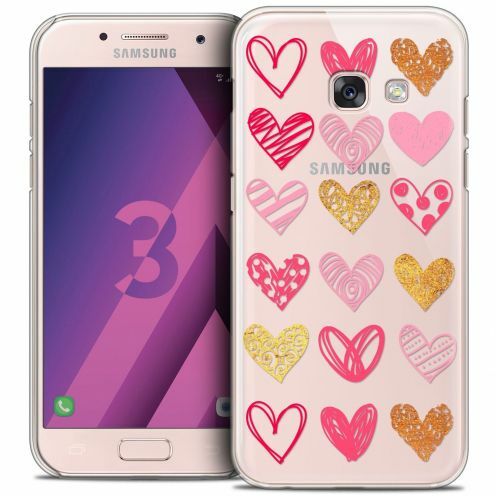 Unique Doodling Hearts design, it is the perfect case to protect your Samsung Galaxy A3 2017 (A320) with style. 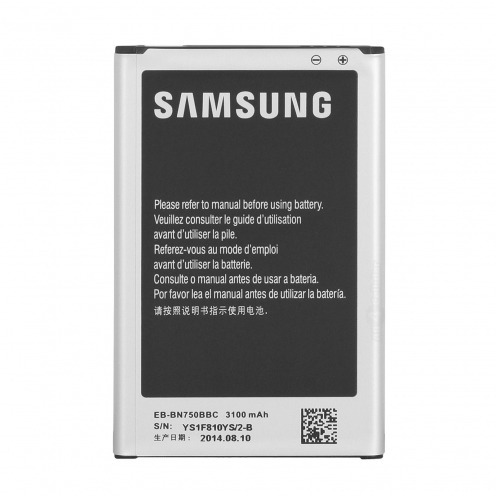 Replacement Battery for Samsung Galaxy Note 4 N910 Original Samsung. 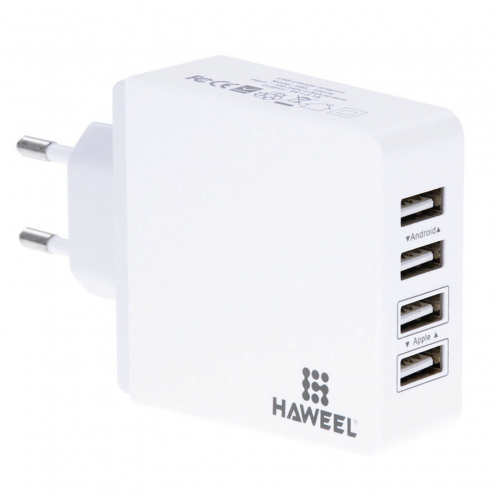 EB-BN910BBE model with a capacity of 3220 mAh and 3.85V. Extra-thin Crystal Watercolor Tropical Flamingo back cover for Samsung Galaxy A3 2016 (A310)! Hard and light case for Samsung Galaxy A3 2016 (A310) with an original design. 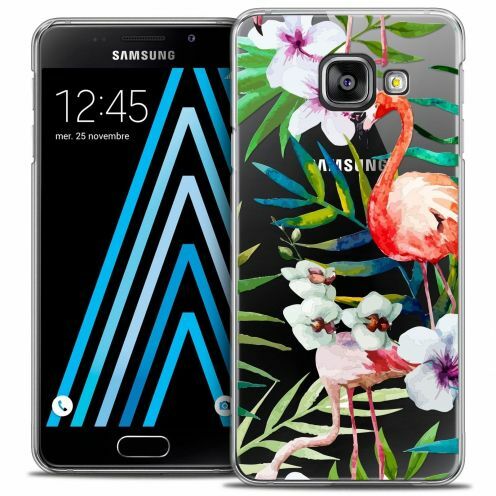 Unique Tropical Flamingo design, it is the perfect case to protect your Samsung Galaxy A3 2016 (A310) with style. Extra-thin Crystal Summer Sakura back cover for Samsung Galaxy J3 2016 (J320)! 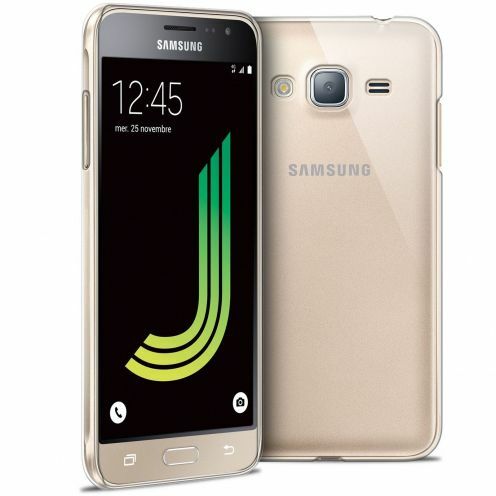 Hard and light case for Samsung Galaxy J3 2016 (J320) with an original design. Unique Sakura design, it is the perfect case to protect your Samsung Galaxy J3 2016 (J320) with style. Extra-thin Crystal Polygon Animals Wolf back cover for Samsung Galaxy J3 2016 (J320) ! Hard and light case for Samsung Galaxy J3 2016 (J320) with an original design. 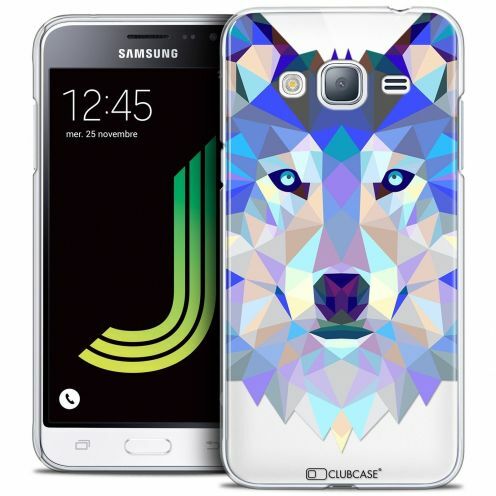 Unique Wolf design, it is the perfect case to protect your Samsung Galaxy J3 2016 (J320) with style. 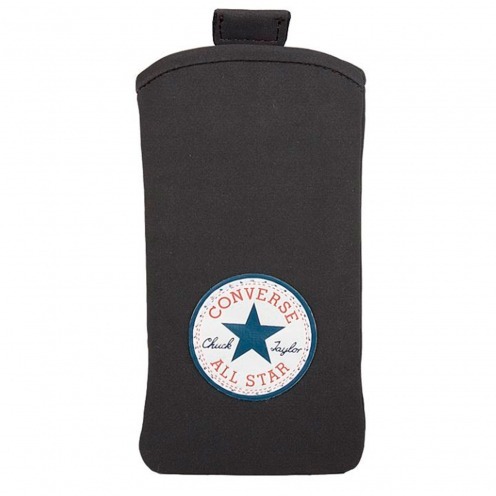 Converse All Star® Suede finish Pouch for iPhone 5 / 5S / SE Black that will protect your iPhone 5 / 5S / SE with finesse and style. A pleasant touch pouch signed Converse All Star. 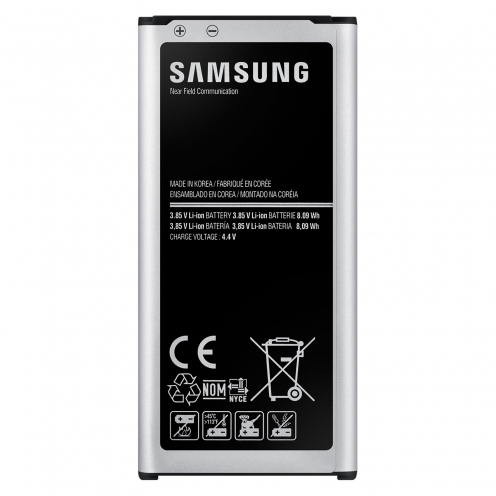 Replacement Battery for Samsung Galaxy Ace 4 Original Samsung. EB-BG357BBE model with a capacity of 1900 mAh and 3.8V. Extra-thin Crystal Dentelle Florale Blanc back cover for Samsung Galaxy A3 2017 (A320)! Hard and light case for Samsung Galaxy A3 2017 (A320) with an original design. Unique Blanc design, it is the perfect case to protect your Samsung Galaxy A3 2017 (A320) with style. Extra-thin Crystal Foodie Fast Food back cover for Samsung Galaxy A3 2017 (A320)! Hard and light case for Samsung Galaxy A3 2017 (A320) with an original design. 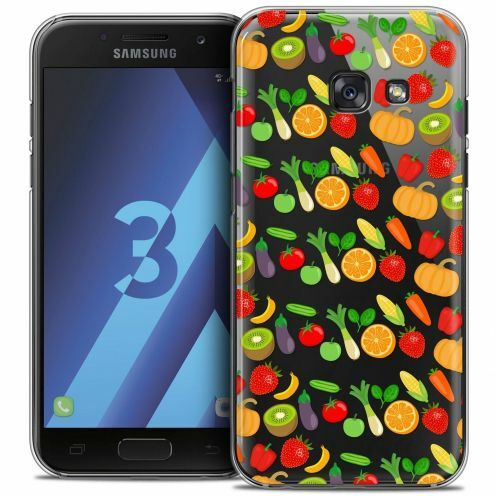 Unique Fast Food design, it is the perfect case to protect your Samsung Galaxy A3 2017 (A320) with style. Extra-thin Crystal Spring Tropical back cover for Samsung Galaxy A3 2017 (A320)! Hard and light case for Samsung Galaxy A3 2017 (A320) with an original design. 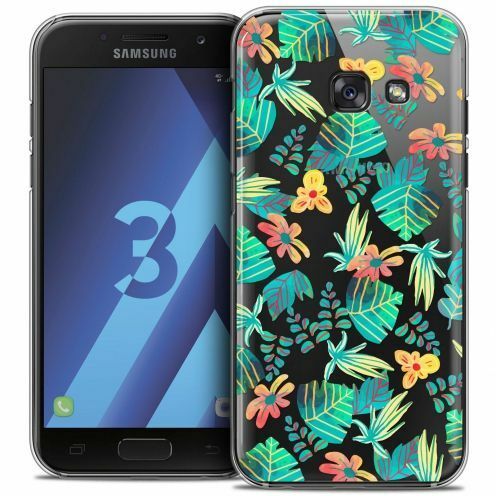 Unique Tropical design, it is the perfect case to protect your Samsung Galaxy A3 2017 (A320) with style. Extra-thin Crystal Gel Love All U Need Is back cover for Samsung Galaxy S8+/ Plus (G955)! Hard and light case for Samsung Galaxy S8+/ Plus (G955) with an original design. Unique All U Need Is design, it is the perfect case to protect your Samsung Galaxy S8+/ Plus (G955) with style. Extra-thin Crystal Polygon Animals Lion back cover for Samsung Galaxy A3 2017 (A320) ! Hard and light case for Samsung Galaxy A3 2017 (A320) with an original design. 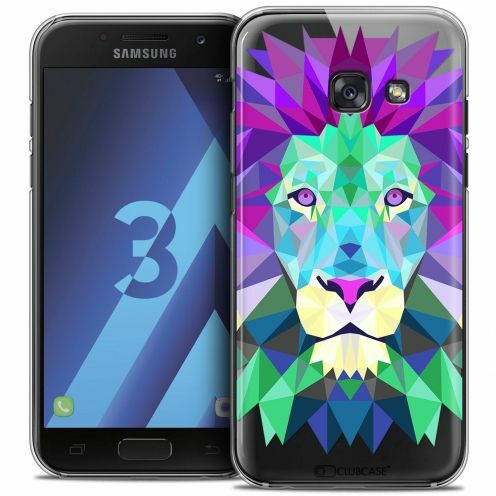 Unique Lion design, it is the perfect case to protect your Samsung Galaxy A3 2017 (A320) with style. 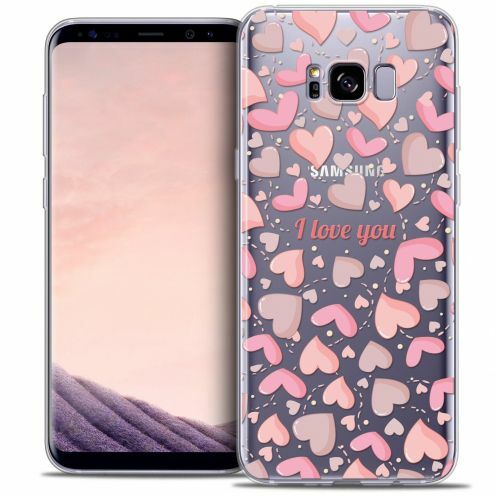 Extra-thin Crystal Gel Love I Love You back cover for Samsung Galaxy S8+/ Plus (G955)! Hard and light case for Samsung Galaxy S8+/ Plus (G955) with an original design. 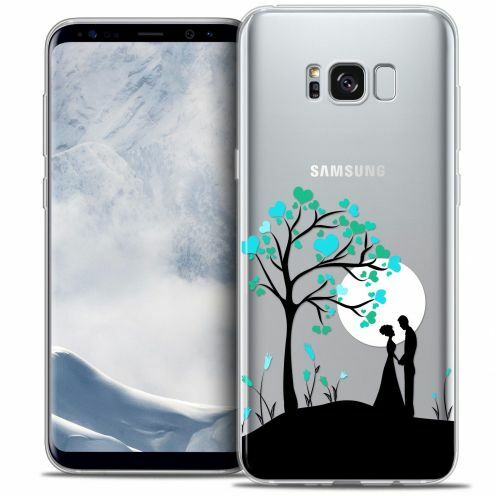 Unique I Love You design, it is the perfect case to protect your Samsung Galaxy S8+/ Plus (G955) with style. Extra-thin Crystal Foodie Donuts back cover for Samsung Galaxy A3 2017 (A320)! Hard and light case for Samsung Galaxy A3 2017 (A320) with an original design. 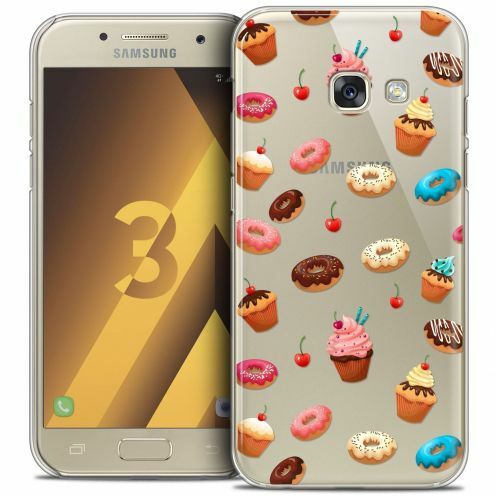 Unique Donuts design, it is the perfect case to protect your Samsung Galaxy A3 2017 (A320) with style. Extra-thin Crystal Love I Love You back cover for Samsung Galaxy A3 2016 (A310)! Hard and light case for Samsung Galaxy A3 2016 (A310) with an original design. Unique I Love You design, it is the perfect case to protect your Samsung Galaxy A3 2016 (A310) with style. 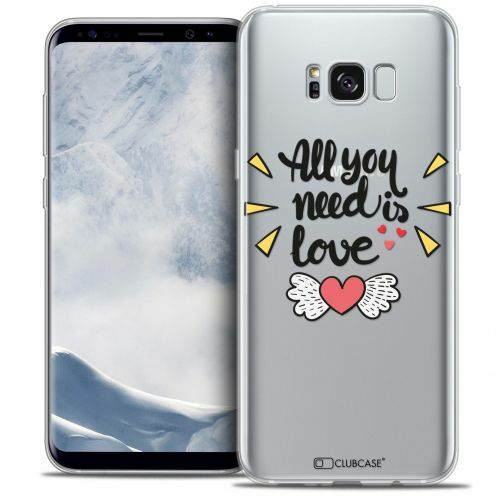 Extra-thin Crystal Gel Love Pluie d'Amour back cover for Samsung Galaxy S8+/ Plus (G955)! Hard and light case for Samsung Galaxy S8+/ Plus (G955) with an original design. 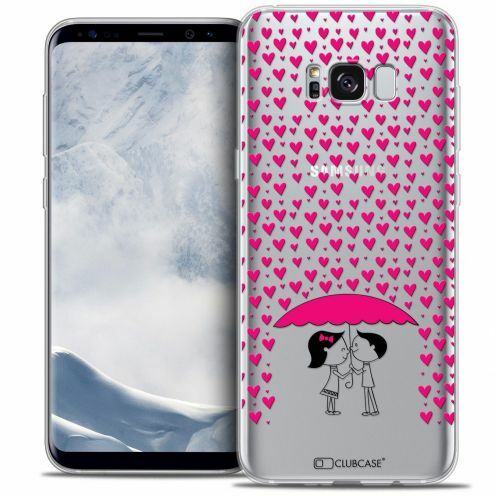 Unique Pluie d'Amour design, it is the perfect case to protect your Samsung Galaxy S8+/ Plus (G955) with style. Extra-thin Crystal Gel Love Hearts Flowers back cover for Samsung Galaxy S8+/ Plus (G955)! Hard and light case for Samsung Galaxy S8+/ Plus (G955) with an original design. Unique Hearts Flowers design, it is the perfect case to protect your Samsung Galaxy S8+/ Plus (G955) with style. Extra-thin Crystal Gel Love Tornado back cover for Samsung Galaxy S8+/ Plus (G955)! Hard and light case for Samsung Galaxy S8+/ Plus (G955) with an original design. Unique Tornado design, it is the perfect case to protect your Samsung Galaxy S8+/ Plus (G955) with style. 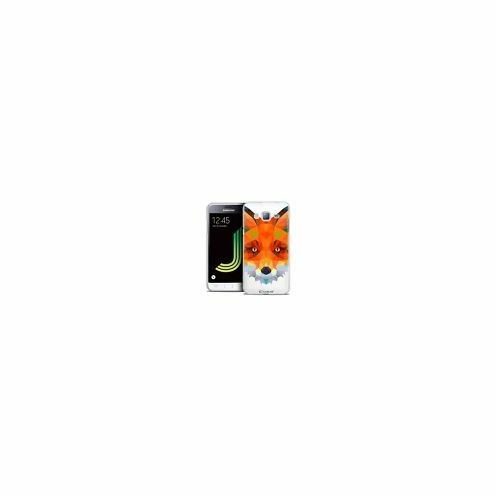 Extra-thin Crystal Polygon Animals Fox back cover for Samsung Galaxy J3 2016 (J320) ! Hard and light case for Samsung Galaxy J3 2016 (J320) with an original design. 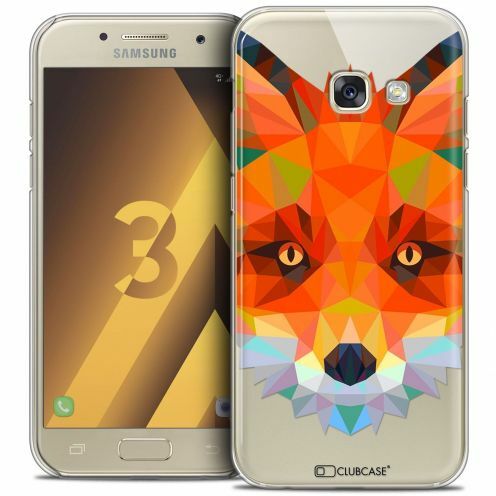 Unique Fox design, it is the perfect case to protect your Samsung Galaxy J3 2016 (J320) with style. Extra-thin Crystal Gel Love Hearts Flowers back cover for Samsung Galaxy S8 (G950)! Hard and light case for Samsung Galaxy S8 (G950) with an original design. 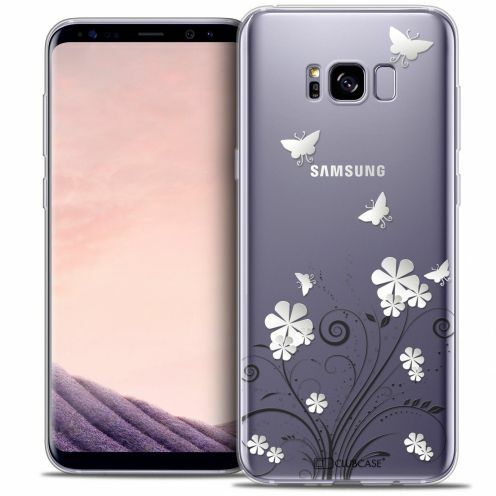 Unique Hearts Flowers design, it is the perfect case to protect your Samsung Galaxy S8 (G950) with style. Extra-thin Crystal Foodie Healthy back cover for Samsung Galaxy A3 2017 (A320)! Hard and light case for Samsung Galaxy A3 2017 (A320) with an original design. Unique Healthy design, it is the perfect case to protect your Samsung Galaxy A3 2017 (A320) with style. Extra-thin Crystal Summer Papillons back cover for Samsung Galaxy Core Prime (G360)! Hard and light case for Samsung Galaxy Core Prime (G360) with an original design. Unique Papillons design, it is the perfect case to protect your Samsung Galaxy Core Prime (G360) with style. 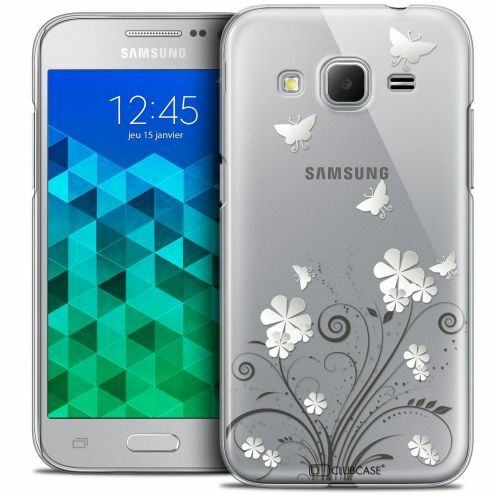 Extra-thin Crystal Summer Sakura back cover for Samsung Galaxy Core Prime (G360)! Hard and light case for Samsung Galaxy Core Prime (G360) with an original design. 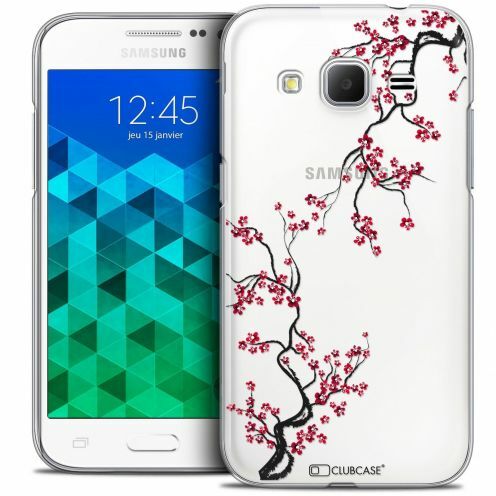 Unique Sakura design, it is the perfect case to protect your Samsung Galaxy Core Prime (G360) with style. 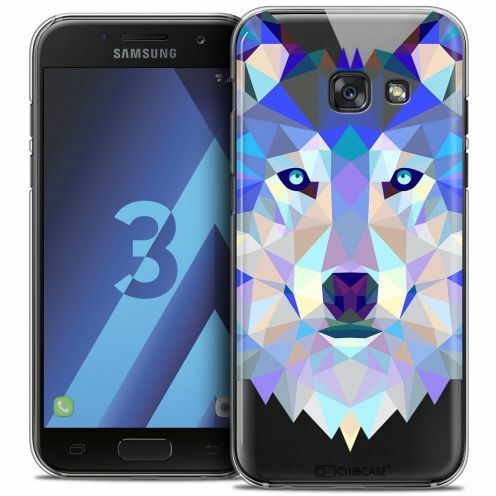 Extra-thin Crystal Polygon Animals Wolf back cover for Samsung Galaxy Core Prime (G360) ! Hard and light case for Samsung Galaxy Core Prime (G360) with an original design. Unique Wolf design, it is the perfect case to protect your Samsung Galaxy Core Prime (G360) with style. 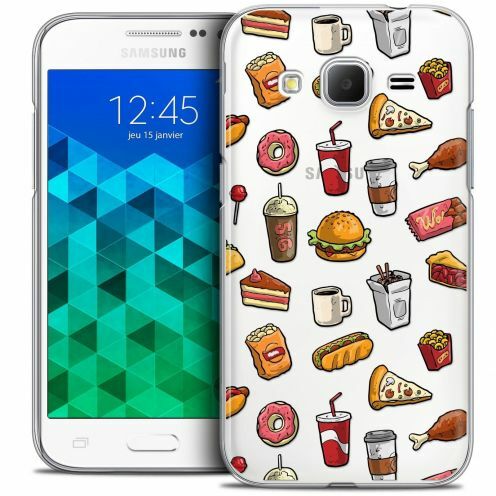 Extra-thin Crystal Foodie Fast Food back cover for Samsung Galaxy Core Prime (G360)! Hard and light case for Samsung Galaxy Core Prime (G360) with an original design. 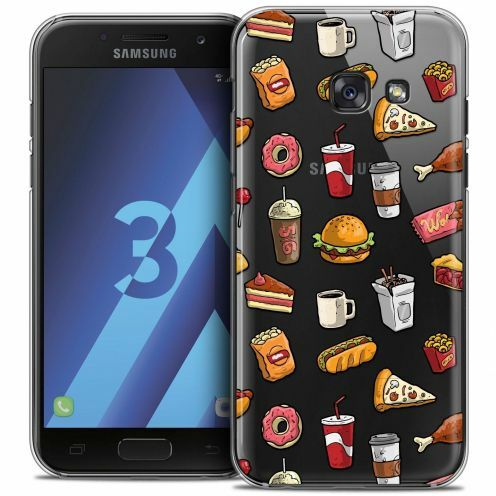 Unique Fast Food design, it is the perfect case to protect your Samsung Galaxy Core Prime (G360) with style. Extra-thin Crystal Gel Foodie Fast Food back cover for Samsung Galaxy S8 (G950)! Hard and light case for Samsung Galaxy S8 (G950) with an original design. 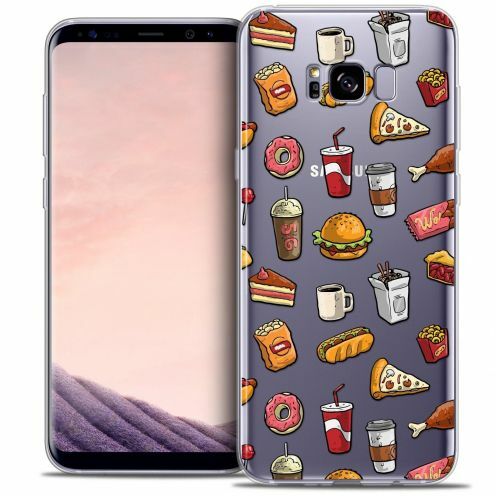 Unique Fast Food design, it is the perfect case to protect your Samsung Galaxy S8 (G950) with style. 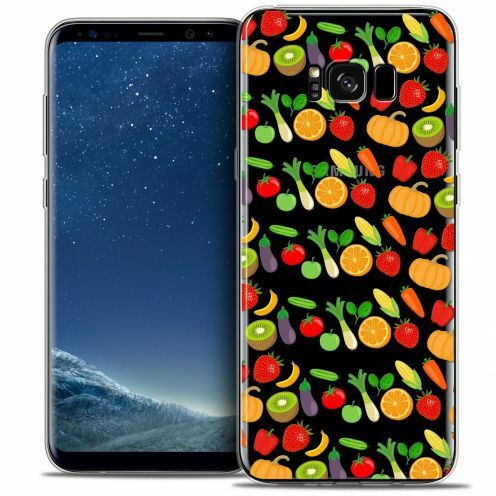 Extra-thin Crystal Gel Foodie Healthy back cover for Samsung Galaxy S8+/ Plus (G955)! Hard and light case for Samsung Galaxy S8+/ Plus (G955) with an original design. Unique Healthy design, it is the perfect case to protect your Samsung Galaxy S8+/ Plus (G955) with style. 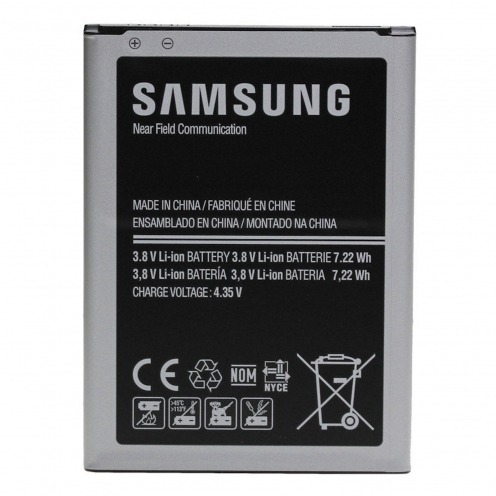 Replacement Battery for Samsung Galaxy Trend 2 Original Samsung. 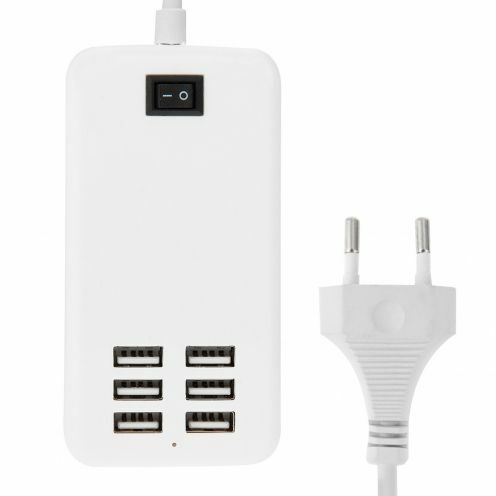 EB-BG313BBE model with a capacity of 1500 mAh and 3.8V. 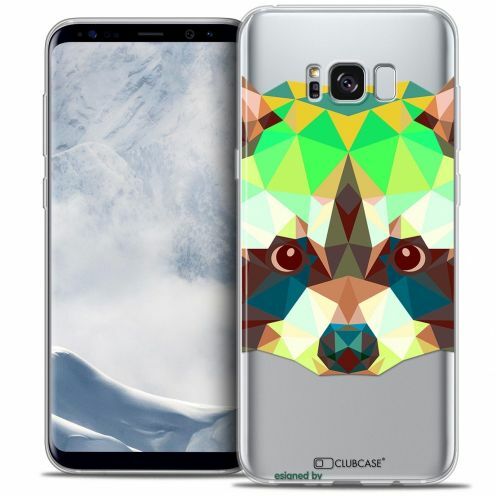 Extra-thin Crystal Gel Polygon Animals Racoon back cover for Samsung Galaxy S8 (G950) ! Hard and light case for Samsung Galaxy S8 (G950) with an original design. 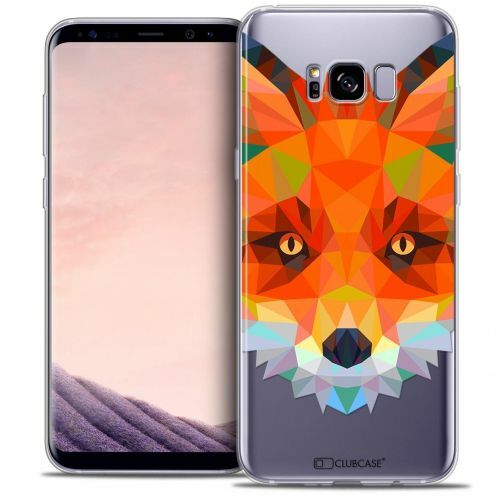 Unique Racoon design, it is the perfect case to protect your Samsung Galaxy S8 (G950) with style. Extra-thin Crystal Pattern Les flamants Roses Dots back cover for Samsung Galaxy A3 2016 (A310)! Hard and light case for Samsung Galaxy A3 2016 (A310) with an original design. Unique Les flamants Roses Dots design, it is the perfect case to protect your Samsung Galaxy A3 2016 (A310) with style. Extra-thin Crystal Gel Sweetie Doodling Hearts back cover for Samsung Galaxy S8+/ Plus (G955)! Hard and light case for Samsung Galaxy S8+/ Plus (G955) with an original design. 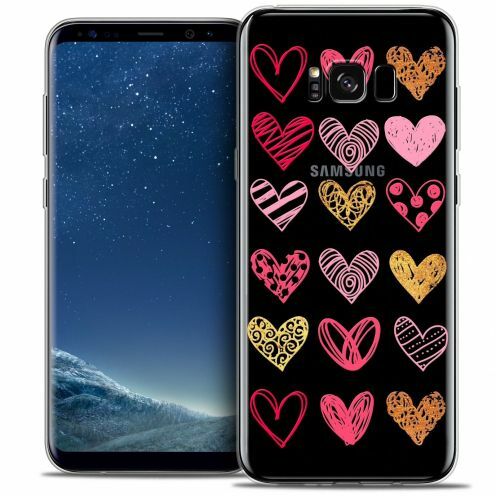 Unique Doodling Hearts design, it is the perfect case to protect your Samsung Galaxy S8+/ Plus (G955) with style. 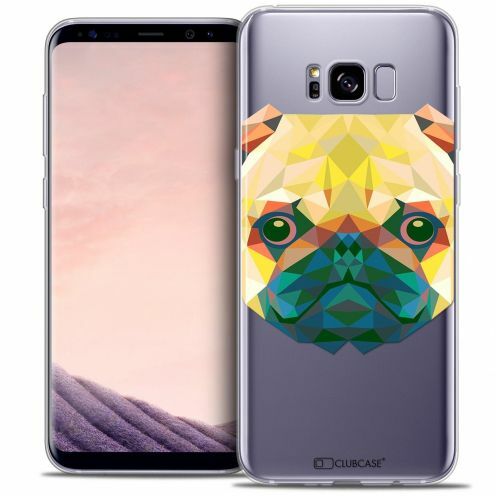 Extra-thin Crystal Gel Polygon Animals Dog back cover for Samsung Galaxy S8+/ Plus (G955) ! Hard and light case for Samsung Galaxy S8+/ Plus (G955) with an original design. Unique Dog design, it is the perfect case to protect your Samsung Galaxy S8+/ Plus (G955) with style. Extra-thin Crystal Gel Noël 2016 Cerf à Echarpe back cover for Samsung Galaxy S8+/ Plus (G955)!Hard and light case for Samsung Galaxy S8+/ Plus (G955) with an original design. 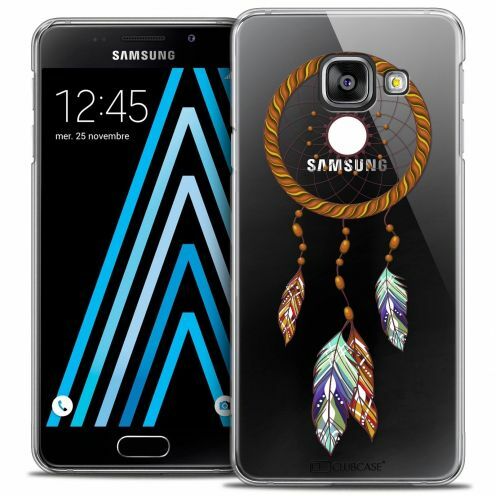 Unique Cerf à Echarpe design, it is the perfect case to protect your Samsung Galaxy S8+/ Plus (G955) with style. 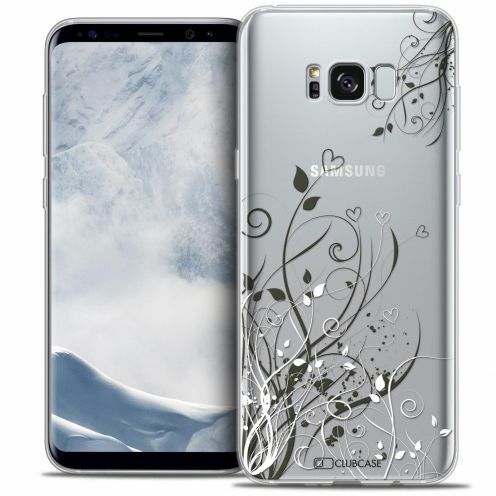 Extra-thin Crystal Gel Love Sous l'arbre back cover for Samsung Galaxy S8+/ Plus (G955)! Hard and light case for Samsung Galaxy S8+/ Plus (G955) with an original design. Unique Sous l'arbre design, it is the perfect case to protect your Samsung Galaxy S8+/ Plus (G955) with style. Extra-thin Crystal Love We Make Great Pair back cover for Samsung Galaxy A3 2016 (A310)! Hard and light case for Samsung Galaxy A3 2016 (A310) with an original design. Unique We Make Great Pair design, it is the perfect case to protect your Samsung Galaxy A3 2016 (A310) with style. Extra-thin Crystal Skull Maria's Flower back cover for Samsung Galaxy A3 2017 (A320)! Hard and light case for Samsung Galaxy A3 2017 (A320) with an original design. Unique Maria's Flower design, it is the perfect case to protect your Samsung Galaxy A3 2017 (A320) with style. Extra-thin Crystal Gel Summer Love Flowers back cover for Samsung Galaxy S8+/ Plus (G955)! Hard and light case for Samsung Galaxy S8+/ Plus (G955) with an original design. Unique Love Flowers design, it is the perfect case to protect your Samsung Galaxy S8+/ Plus (G955) with style. 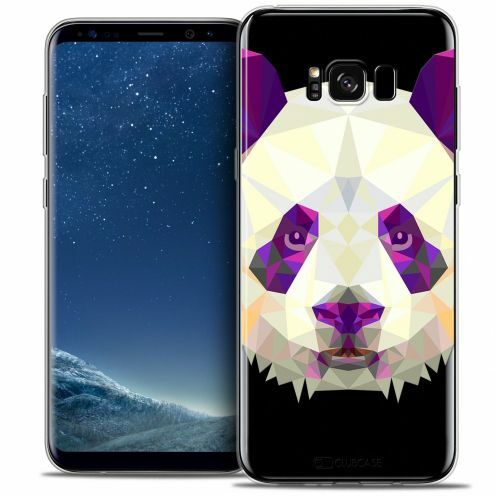 Extra-thin Crystal Gel Polygon Animals Panda back cover for Samsung Galaxy S8+/ Plus (G955) ! Hard and light case for Samsung Galaxy S8+/ Plus (G955) with an original design. Unique Panda design, it is the perfect case to protect your Samsung Galaxy S8+/ Plus (G955) with style. 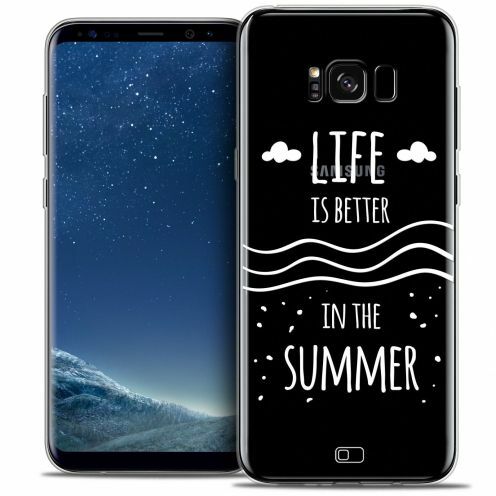 Extra-thin Crystal Gel Summer Life's Better back cover for Samsung Galaxy S8+/ Plus (G955)! Hard and light case for Samsung Galaxy S8+/ Plus (G955) with an original design. Unique Life's Better design, it is the perfect case to protect your Samsung Galaxy S8+/ Plus (G955) with style. Extra-thin Crystal Gel Summer Papillons back cover for Samsung Galaxy S8 (G950)! Hard and light case for Samsung Galaxy S8 (G950) with an original design. Unique Papillons design, it is the perfect case to protect your Samsung Galaxy S8 (G950) with style. 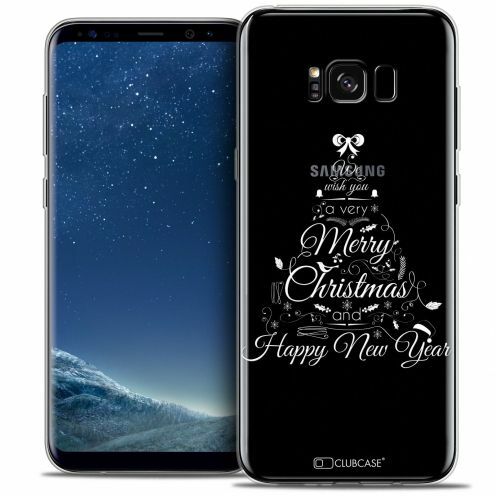 Extra-thin Crystal Gel Noël 2016 Calligraphie back cover for Samsung Galaxy S8+/ Plus (G955)!Hard and light case for Samsung Galaxy S8+/ Plus (G955) with an original design. Unique Calligraphie design, it is the perfect case to protect your Samsung Galaxy S8+/ Plus (G955) with style. 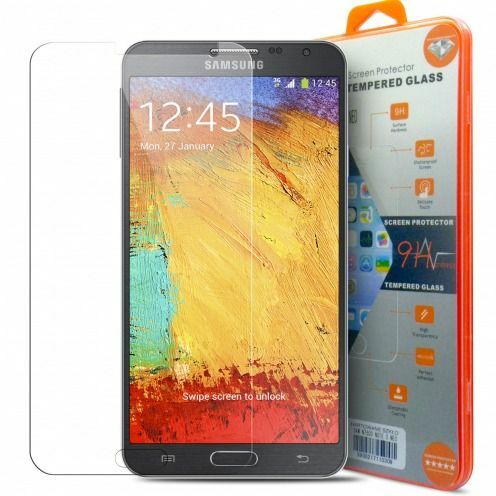 The tempered glass screen protector X-Lambo Premium Samsung Galaxy Note 4 protection is specially treated to provide superior protection for your Galaxy Note 4. X-Lambo has a high durability and resistance to scratches, impact, heat and chemicals. 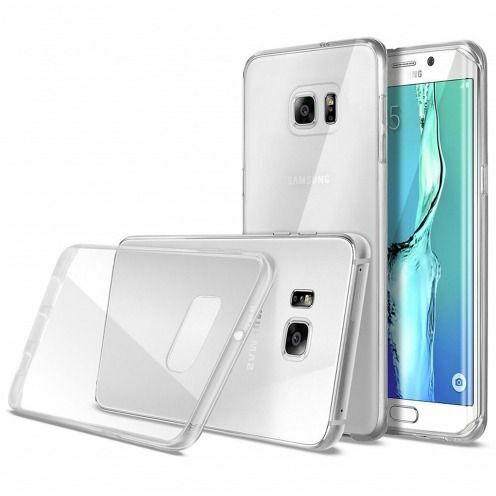 Advanced protection for your Galaxy Note 4! Extra-thin Crystal Gel Polygon Animals Fox back cover for Samsung Galaxy S8+/ Plus (G955) ! Hard and light case for Samsung Galaxy S8+/ Plus (G955) with an original design. Unique Fox design, it is the perfect case to protect your Samsung Galaxy S8+/ Plus (G955) with style. Extra-thin case "Crystal" Clear for Samsung J3 2016, this case should be supplied with your J3 2016, still effective slim and discreet! With its neutral design, this is the perfect case to protect your J3 2016 discreetly and adding beautiful reflections! Extra-thin Crystal Gel Love Doodle back cover for Samsung Galaxy S8+/ Plus (G955)! Hard and light case for Samsung Galaxy S8+/ Plus (G955) with an original design. Unique Doodle design, it is the perfect case to protect your Samsung Galaxy S8+/ Plus (G955) with style. Extra-thin Crystal Summer Papillons back cover for Samsung Galaxy A3 2017 (A320)! Hard and light case for Samsung Galaxy A3 2017 (A320) with an original design. 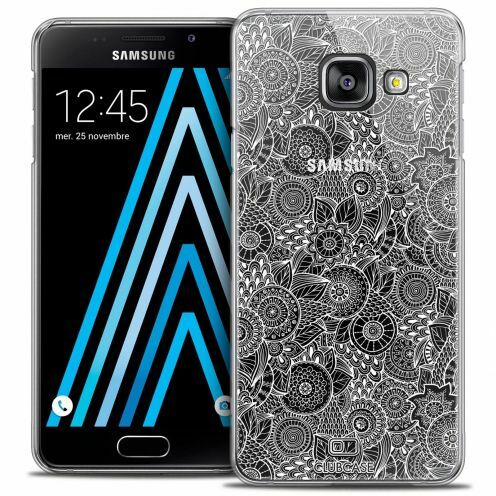 Unique Papillons design, it is the perfect case to protect your Samsung Galaxy A3 2017 (A320) with style. 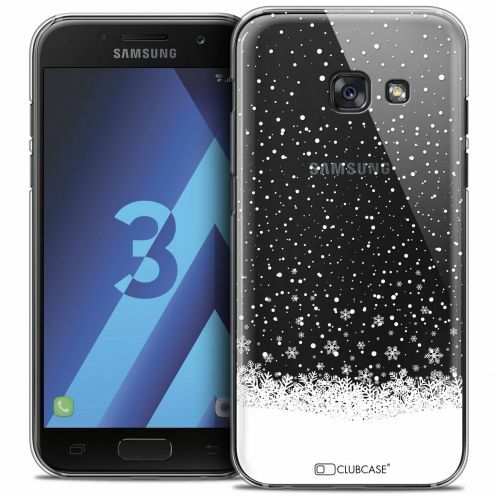 Extra-thin Crystal Noël 2016 Flocons de Neige back cover for Samsung Galaxy A3 2017 (A320)!Hard and light case for Samsung Galaxy A3 2017 (A320) with an original design.Unique Flocons de Neige design, it is the perfect case to protect your Samsung Galaxy A3 2017 (A320) with style. 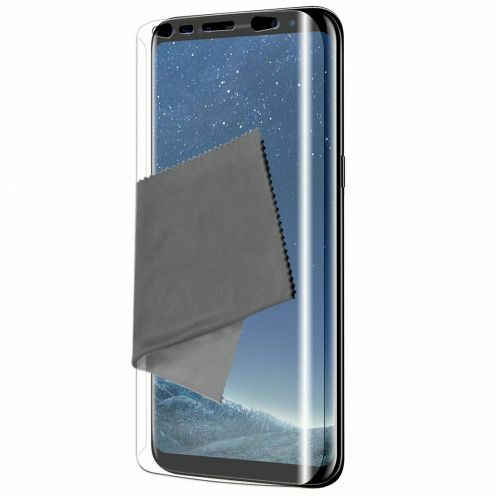 3 Full Covered Ultra Clear HD protective films Clubcase ® designed for your Galaxy S8+ / Plus accompanied by 5 wipes. Extra-thin Crystal Gel Love My Pizza Slice back cover for Samsung Galaxy S8+/ Plus (G955)! Hard and light case for Samsung Galaxy S8+/ Plus (G955) with an original design. Unique My Pizza Slice design, it is the perfect case to protect your Samsung Galaxy S8+/ Plus (G955) with style. Extra-thin Crystal Gel Summer Hibou back cover for Samsung Galaxy S8+/ Plus (G955)! Hard and light case for Samsung Galaxy S8+/ Plus (G955) with an original design. 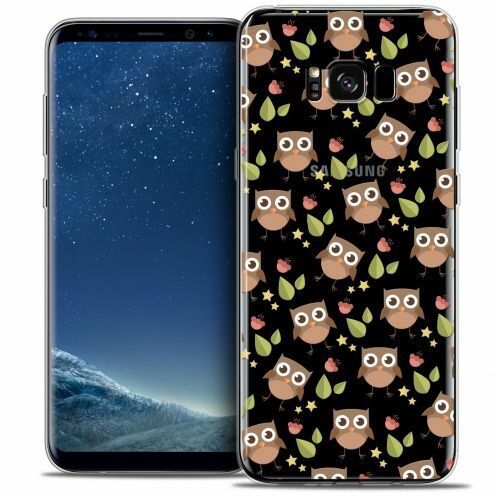 Unique Hibou design, it is the perfect case to protect your Samsung Galaxy S8+/ Plus (G955) with style. 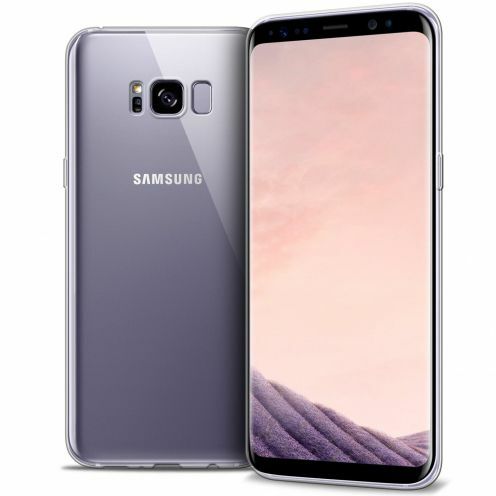 3 Full Covered Ultra Clear HD protective films Clubcase ® designed for your Galaxy S8 accompanied by 5 wipes. Extra-thin Crystal Gel Summer Sakura back cover for Samsung Galaxy S8+/ Plus (G955)! Hard and light case for Samsung Galaxy S8+/ Plus (G955) with an original design. Unique Sakura design, it is the perfect case to protect your Samsung Galaxy S8+/ Plus (G955) with style. 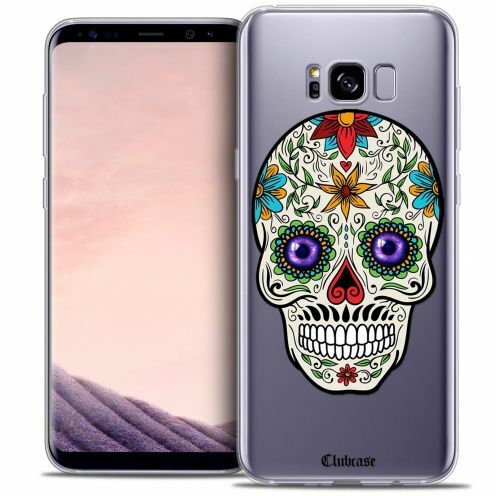 Extra-thin Crystal Gel Skull Maria's Flower back cover for Samsung Galaxy S8+/ Plus (G955)! Hard and light case for Samsung Galaxy S8+/ Plus (G955) with an original design. Unique Maria's Flower design, it is the perfect case to protect your Samsung Galaxy S8+/ Plus (G955) with style. 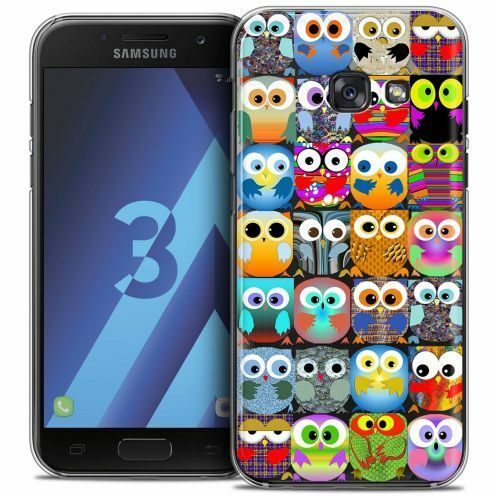 Smart Cover Galaxy S5 Mini Sleeping Owl pattern with printed owls friendly and colorful! This portfolio case allows you to store both your cards, your money, your paper and watch your videos! 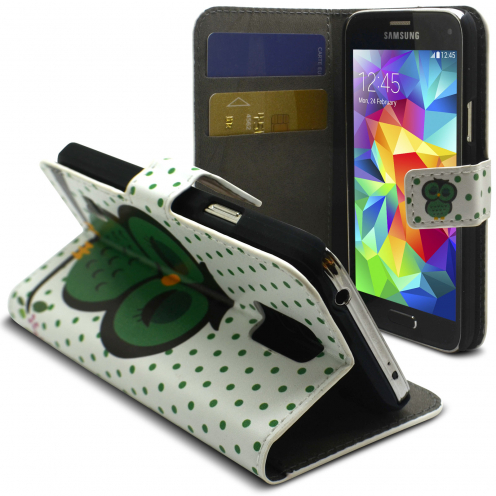 A perfect cover to color your day while providing perfect protection to your Samsung Galaxy S5 Mini! 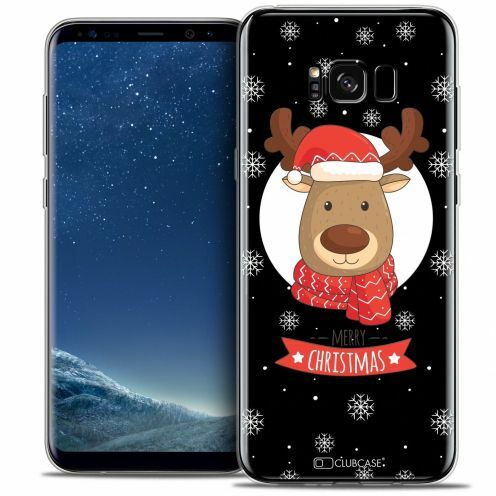 Extra-thin Crystal Gel Noël 2016 Christmas Balls back cover for Samsung Galaxy S8+/ Plus (G955)!Hard and light case for Samsung Galaxy S8+/ Plus (G955) with an original design. 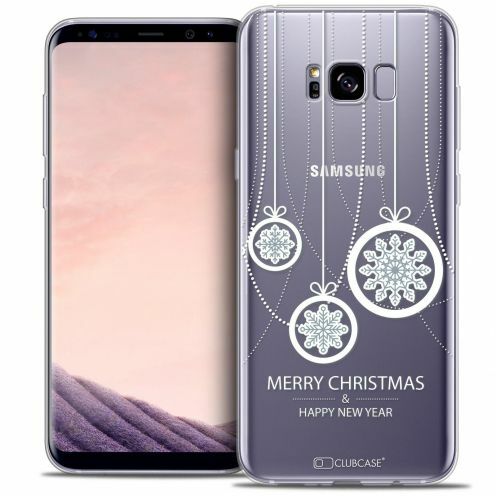 Unique Christmas Balls design, it is the perfect case to protect your Samsung Galaxy S8+/ Plus (G955) with style. Extra-thin Crystal Gel Polygon Animals Deer back cover for Samsung Galaxy S8+/ Plus (G955) ! Hard and light case for Samsung Galaxy S8+/ Plus (G955) with an original design. Unique Deer design, it is the perfect case to protect your Samsung Galaxy S8+/ Plus (G955) with style.